Moog, a designer and manufacturer of high performance motion control products, solutions, and services – was exhibiting its enlarged portfolio of smart motion control solutions for use across industrial applications at the 2018 SPS IPC Drives in Nuremberg Germany. At this year’s SPS IPC Drives, Moog launched also its new MSC III controller, a multi-purpose industrial motion controller for hydraulic, electric and motion control systems, and analog or digital interfaced motion control applications. The controller operates with an integrated programming environment provided by the Moog Application Software Suite (MASS). The suite offers industry-standard software and motion control libraries for more rapid programming, as well as flexible support for all IEC 61131 programming languages. It includes fully featured debugging and visualization options, special Moog libraries of pre-programmed function blocks and multiple connectivity options. The MSC III’s hardware design is robust and designed for a long service life, the result of Moog’s fan and battery free design, that avoids issues found in other controllers available on the market. It offers customers reliable, new generation electronics and high-speed communication for faster cycle times. Industrial sector customers will benefit from shorter cycle times and higher machine productivity, maximum flexibility and quick integration with existing applications. 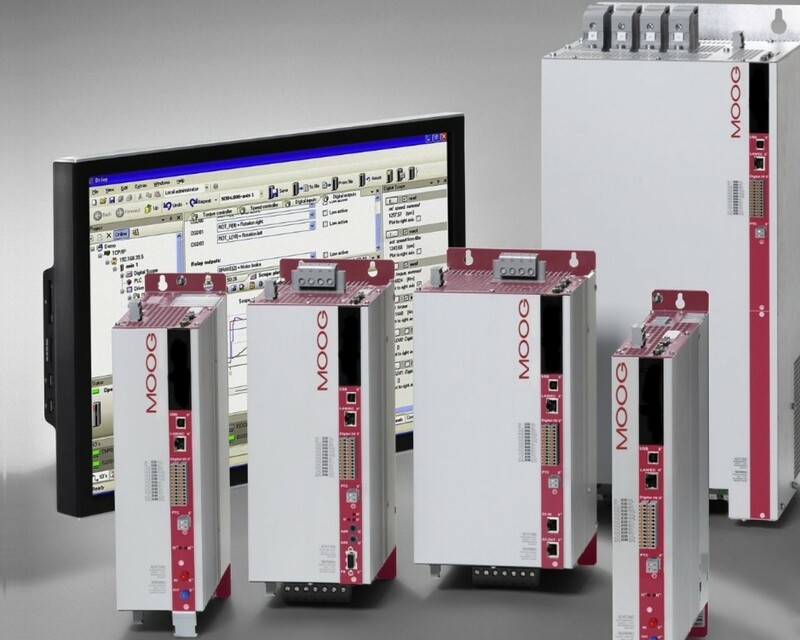 Moog Brno, formerly VUES Brno s.r.o., also exhibited its portfolio including servomotors, linear motors, generators, exciters, high speed machines and measuring and test stands. Also at this year’s show, Moog teamed up with PROFINET to feature Moog’s Programmable Multi-Axis Servo Drive (MSD) now available with Fieldbus PROFINET IRT. The MSD is comparatively simple to use and employs PROFINET IRT communication for distributed control. It can connect with several PROFIBUS controllers, and supports the PROFIdrive protocol with application classes 1 to 5, which facilitates the complex control of electromechanical axes. Customers can use the MSD with the PROFINET fieldbus network across a range of applications to support performance-based, coordinated movements on multi axis systems, while the PROFIdrive protocol permits easy integration and usage.